Student Council is excited to announce that we will be holding a semi formal for grade 11 and 12 students on April 24th from 7-9pm. 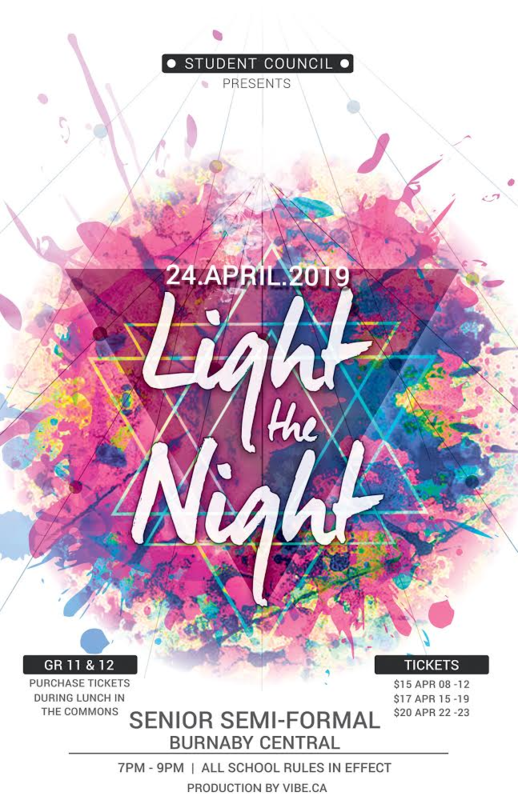 Tickets for Light The Night start at $15. Be sure to get your tickets as soon as possible, prices will rise as April 24th approaches. Your student fees must be paid in order to attend the dance. We hope to see you all there!